Balmer fireplace overmantels are made of non-combustible, glass fibre reinforced Gypsum cement or our exclusive, ThinCast Stone cement. 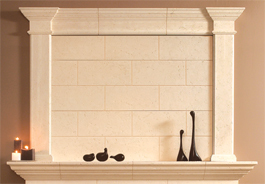 Overmantels are designed for use with each of the 6 Castle Series fireplace mantels. 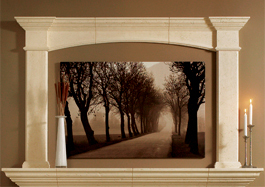 Balmer ThinCast Stone overmantels provide the texture and colour of stone. 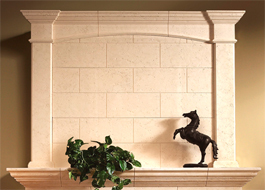 ThinCast Stone overmantels are factory sealed. 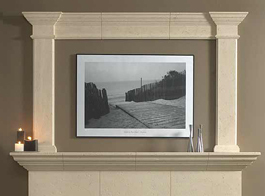 Balmer Gypsum Cement overmantels are glass fibre reinforced to provide durability during shipment and installation. 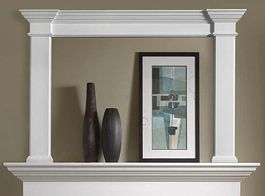 Gypsum cement overmantels have a natural white finish. 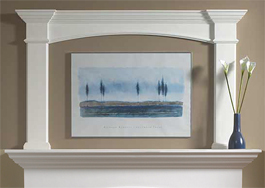 Click any overmantel below to view a larger image, get more details or see a dimensioned drawing.